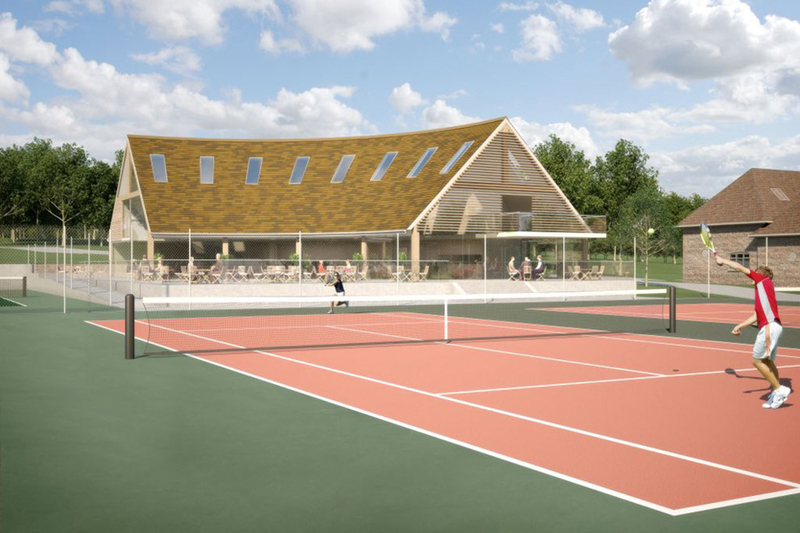 This new Tennis Pavilion for the Ponsbourne Park Tennis club replaces a smaller club house. 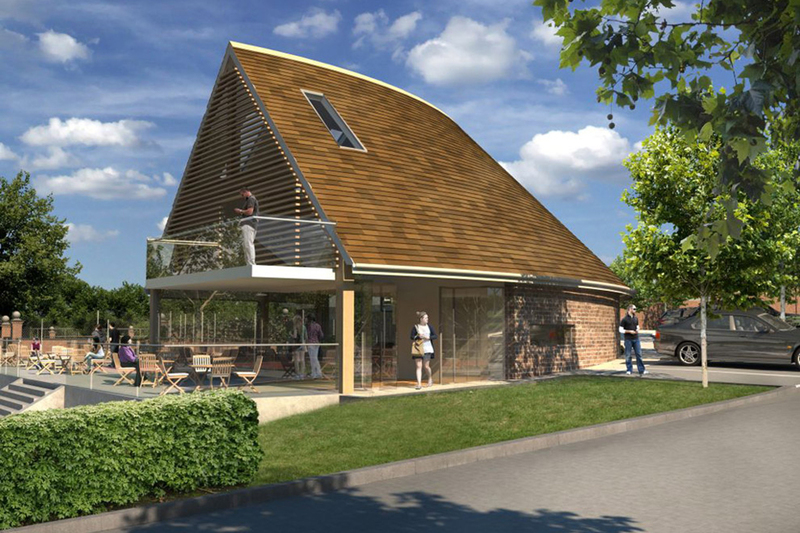 The proposal takes the form of a traditional barn albeit curved to follow the bend in a country estate road. Where the outer curve follows the road, the inner curve creates a new sunny tennis observation patio. 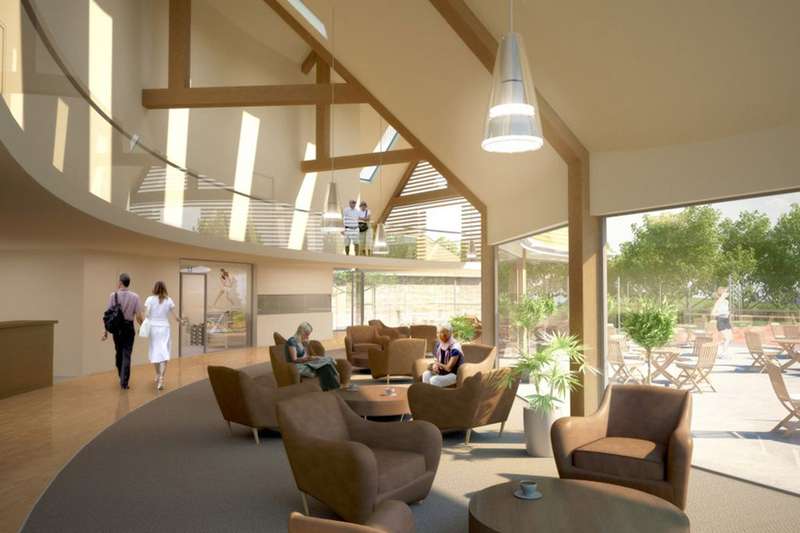 The club house has been designed with specific attention to spectator view points so that all five tennis courts can be seen from the Pavilion. The building will be heated using excess heat from an adjacent biodiesel plant and roof mounted PV’s will be offset back to the grid. See also: Management Training Centre, Ponsbourne Park.